I am so incredibly excited to offer you guys my newest and most practical download that ALL special education teachers can use in their classrooms. 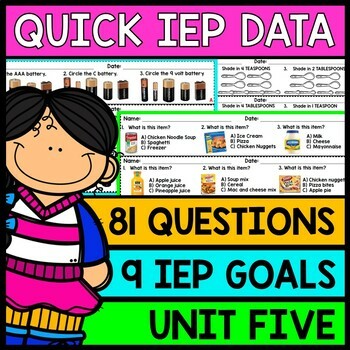 Many teachers requested a lower level of my IEP data worksheets and this is the perfect unit to address some more basic needs in a life skills, special education classroom! Every year, coming up with meaningful IEP goals is of utmost importance for the success of my students. Although there is merit in traditional goals, I have gone out of my way to make sure the goals I make for my students are as functional as they can be so they can transfer their skills easily into the real world. I have created this download as a resource to help other special education teachers take the guess work out of this and have provided quick, printer friendly assessments to quickly gather important data for each of your students! What is great about this purchase is that it is VERY easy to administer. I have made it extremely paper efficient - no more printing pages of packets. 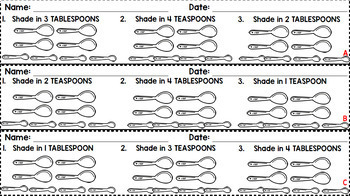 These slips can be cut along the dotted line and be given to students to answer. Each slip comes with 3 questions. Each page comes with 3 slips (9 questions) that focus on the skill being practiced. 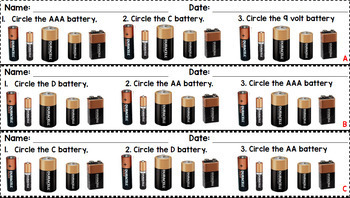 This is a GREAT way to gather baseline data and continually revisit it throughout the year in a real-world friendly manner. - Pass out SLIP A and gather baseline data. Interested in Other IEP Assessments? Want Them ALL? Click Here! Looking For Ways to Help Track Data? 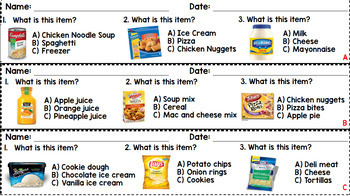 Special Education Themed Sticky Note Printables: Click Here! Need Help With IEP Transition Plans?